Yalingup, & the surf's up! The CSIRO has regions for projecting the impact of Climate Change. See https://www.climatechangeinaustralia.gov.au/en/climate-projections/futur... This state, Kwinana State (P), is one of the clear projections in a CSIRO cluster called "Southern & South-Western Flatlands region". 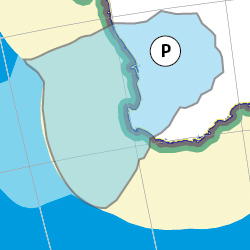 CSIRO's Southern & South-Western Flatlands region coincides with BloggerMe's N,P,Q, and a tiny bit of X and a tiny bit of R.
"Hairy Marron are unfortunately declining rapidly in their natural habitat, mainly due to competition with Smooth Marron which invaded the Margaret River some time during the early 1980s. Crayfish geneticist Chris Austin sampled sites in the Margaret River and found Smooth Marron for the first time in 1985. By 1998 there were no Hairy Marron. It is not known how Smooth Marron invaded the Margaret River, but translocation by humans seems likely. "The Hairy Marron is now virtually absent from the lower reaches of the river downstream of Margaret River township, completely absent from the middle reaches in farmland, and still present in pools of the upper reaches in relatively undisturbed woodland. It was estimated in 2004 that less than 10,000 individuals were left in the wild." "In the mid-1990s, Carter’s Freshwater Mussel (Westralunio carteri) in south-western Western Australia was listed as “Vulnerable” on the IUCN Red List and recognised as a “Priority 4” species (a species in need of monitoring) by the WA Department of Environment and Conservation and, more recently, nominated for listing under EPBC criteria following a four-year study at Murdoch University. "